Every traveller has an endless list of dream destinations they tell themselves they’ll get to at one point. But, while some of us are patiently waiting to tick them off the list one-by-one, international cruise lines are out in the world making our dreams an exciting reality. Regent Seven Seas Cruises recently announced their brand new World Cruise that plans to visit 30 countries over the course of four months. The massive, 117-night cruise starts in sunny Miami before moving through a total of six continents and 61 ports, all while visiting a whopping 56 UNESCO World Heritage Sites. With 20 more World Heritage Sites added to their destination list, Regent has broken their personal company record from the previous year. These will include stunning wonders of the world such as Great Barrier Reef in Australia, Medieval City of Rhodes in Greece, Archaeological Site of Troy in Turkey and Old City of Acre outside of Jerusalem. Passengers will board the Seven Seas Mariner on January 5, 2021 and will begin their jam-packed journey cruising The Bahamian Waters before finishing up the around-the-world trip on May 3 in Barcelona. The all-encompassing cruise boasts 11 overnight stays to allow passengers to fully immerse themselves in destinations including Brisbane, Istanbul, Dubai and Easter Island. President and CEO of Regent Seven Seas Cruises, Jason Montague said the carefully planned cruise was designed to see everything from the “iconic destinations to the hidden gems”. Passengers will cruise through the stunning Caribbean Sea before crossing the Panama Canal to reach Peru. They’ll then travel along the Pacific Ocean, visiting Easter Island on their way to the South Pacific where they will stop in beloved tropical islands such as Tahiti, Bora Bora and Pago Pago. 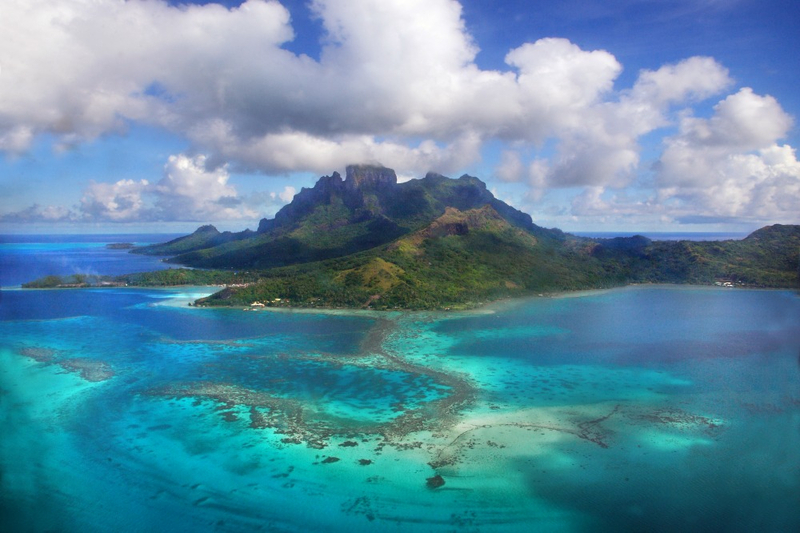 The stunning island of Bora Bora. Source: Getty. Seven Seas Mariner then heads into local territory as it cruises around New Zealand and Australia’s east coast before moving up to Asia. While heading through this continent, guests will stay overnight in Bali and Singapore while also visiting Thailand, Malaysia and Sri Lanka before heading into India. After spending sufficient time gawking at famous historical sites such as the Taj Mahal, passengers will then head to the Middle East before cruising the Red Sea to witness the stunning scenery of destinations such as Jordan, Egypt, Israel and Cyprus. 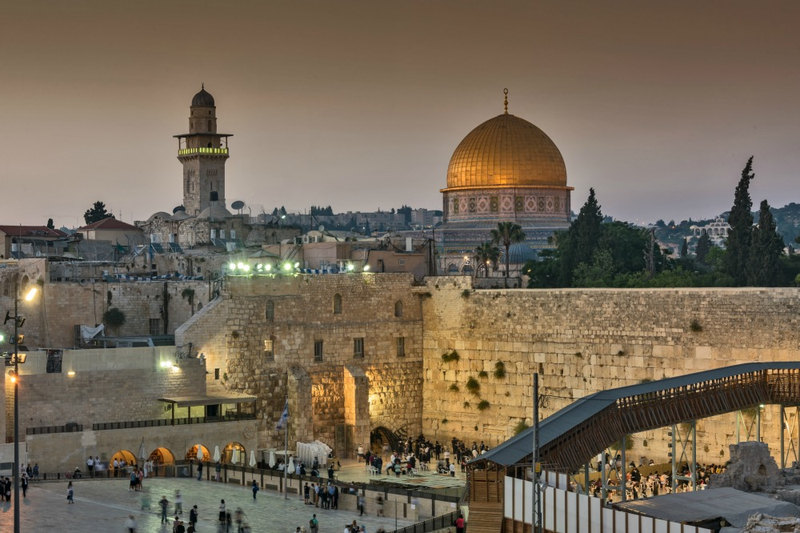 Jerusalem is one of the many destinations that is rich with history and culture. Source: Getty. The last leg heads into Europe where passengers get to relax in Santorini, take that one tourist photo in Pisa and place a lucky bet in Monte Carlo. However, this colossal trip comes for a price, and a fairly hefty one at that. The Seven Seas Marina recently completed its luxurious multi-million-dollar refurbishment this year and wasted no expense on making the ship as elegant and lavish as possible. The cheapest standard suit (which still includes a King bed, marble bathroom and private balcony) is a cool AU$100,020. While the Master Suite, the most expensive cabin on board, will have you $238,680 out of pocket. It might be expensive, but some would say it’s the price you pay for the trip of a lifetime!